View here all homes currently for sale in Montgomery Calgary. Email Glen at Glen@Godlonton.com or Text 403 829 9500 for more details on any of theses great homes. Contact me to request Sold Prices and to be the first to hear out about any properties that are coming to market in the near future ! 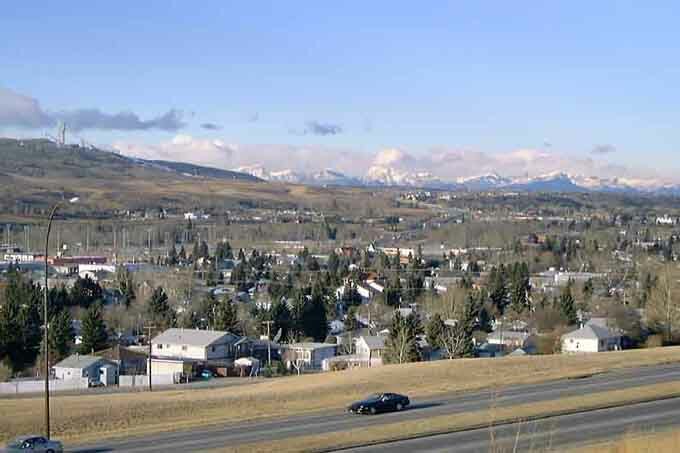 Montgomery is a residential neighbourhood in the north-west quadrant of Calgary, Alberta. Its boundaries are Shaganappi Trail to the east, 32nd Avenue and Market Mall to the north, and the Bow River to the south and west. Montgomery is close to the Trans Canada highway so you have quick access to COP, Bowness Park, the mountains and Banff National Park. Montgomery was originally established as a community in 1911. On December 24, 1957, Montgomery incorporated as a town, but changed to village status less than four months later on April 15, 1958. 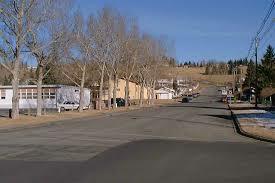 The village was eventually absorbed by the City of Calgary on August 15, 1963 via amalgamation. Montgomery is represented in the Calgary City Council by the Ward 1 Councillor. The community has an area redevelopment plan in place. In the City of Calgary’s 2012 municipal census, Montgomery had a population of 3,860 living in 1,839 dwellings, a 4.7% increase from its 2011 population of 3,686. With a land area of 3 km2 (1.2 sq mi), it had a population density of 1,290/km2 (3,300/sq mi) in 2012. A proportion of 11.4% of the buildings were condominiums or apartments, and 32.8% of the housing was used for renting. The Montgomery Junior High and Terrace Road Elementary public schools are located in this community. Discover one of Calgary’s best kept secrets – an up and coming neighbourhood nestled along the Bow River in the inner-city – and a strategic location choice for any up and coming business. Located in the N.W. quadrant in one of the most desirable locations in the City of Calgary, Montgomery Calgary retains many of its small-town charms. It boasts a highly walkable environment, a mixture of commercial, residential, and recreation amenities in close proximity, and a closely-knit community of residents and businesses. Currently experiencing a housing boom (Montgomery was among Calgary’s top ten communities for new infill developments in 2011-2012), the community has also enjoyed quality commercial and mixed-use commercial/residential mix developments over the past three years. With 115 existing businesses, restaurants, shops and health and professional services, Montgomery is a self-contained community, with access to most day-to-day necessities within walking distance. It is also only a few minutes drive to downtown Calgary to the east, and an escape from the city to the west. Its close proximity to major educational and employment centers is particularly attractive to professionals and students. The community borders Market Mall to the north and the University of Calgary, Alberta’s Children Hospital and Foothills Hospital to the east. The two important commuter corridors of Memorial Drive-Bowness Road and 16 Ave N.W. – TransCanada Highway travel through Montgomery only two blocks apart. The area is well served by a number of bus routes including an express route to the downtown core. 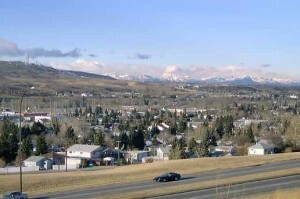 Montgomery’s population of approximately 3,600 is diverse, containing a mixture of long-time and new residents, with the proportion of 20-34 year olds in Montgomery higher than the City of Calgary average. Immediately surrounding communities include Varsity to the north, Bowness to the west and Parkdale to the east, housing approximately 25,000 additional 25,000 residents. The Montgomery Business Revitalization Zone (BRZ) has a diverse member base of 115 members, and unique in that it contains three distinct commercial areas that cater to a variety of clientele. The commercial area adjacent to Home Road and Bowness Road and the mixed-use commercial corridor along Bowness Road attracts a mixture of automobile commuters and local residents in a pedestrian oriented environment both house a variety of shops, businesses, restaurants and professional and health services. The 16th Avenue (TransCanada Highway) commercial corridor features a variety of additional businesses, retail outlets, shops, fastfood outlets, motels and health and wellness professionals. The Montgomery BRZ is the tenth and newest BRZ in the City of Calgary, established in January 2011. Its mission is to identify and promote safety, beautification and marketing initiatives that will encourage the growth of a vibrant commercial area within the Zone and works on behalf of its members on a variety of fronts. For more information on the Montgomery BRZ check out there BRZ Website Here or contact them directly.